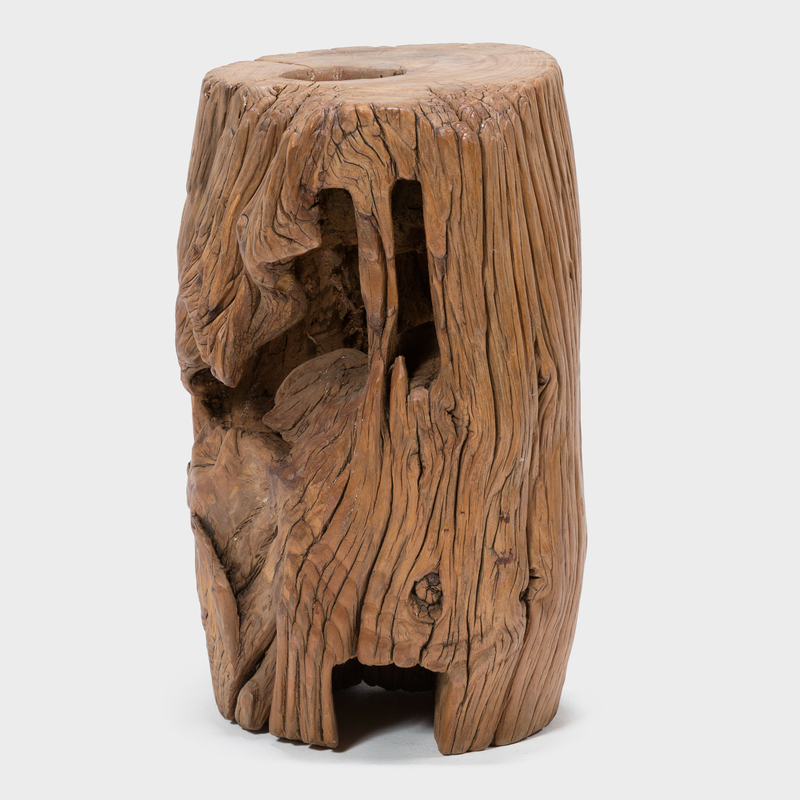 This early 20th-century timber table is beautiful specimen of Chinese northern elmwood. 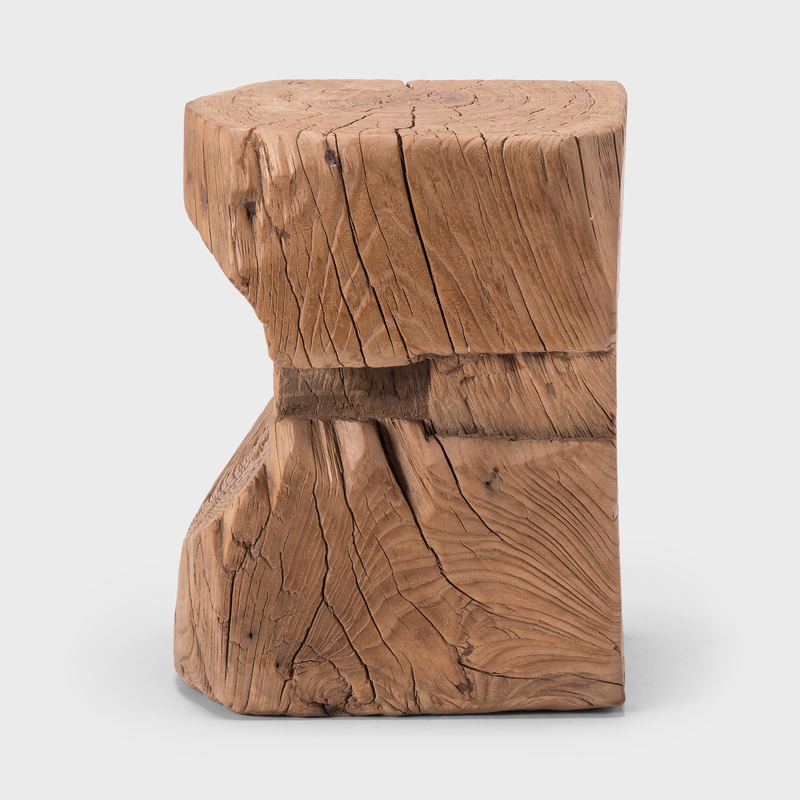 Like stones against a river current, patches of knotted burl wood interrupt growth patterns flowing along the table's sides. 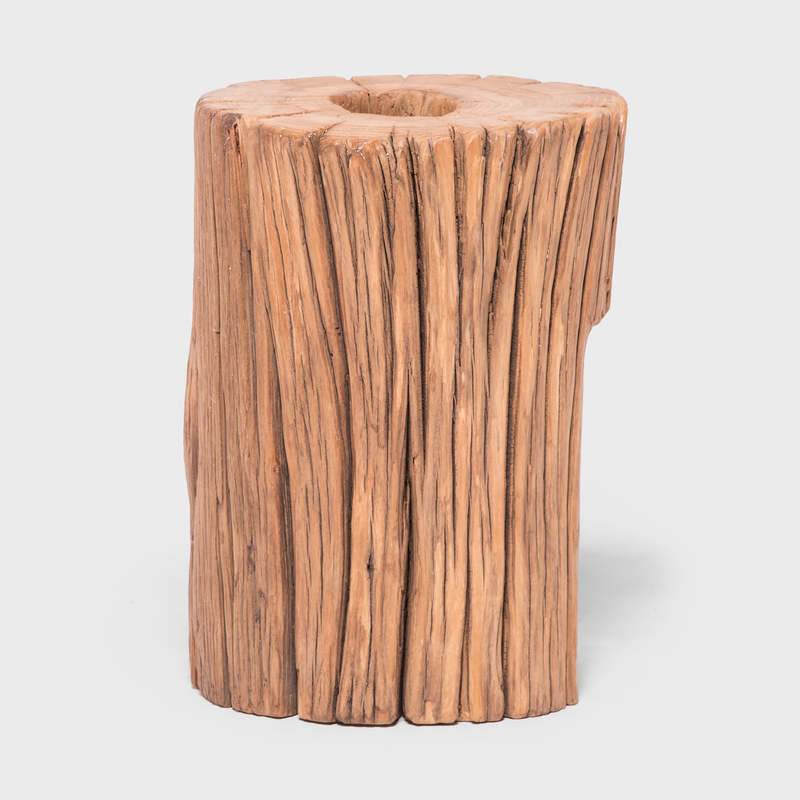 A cross-section showcases the timber's stunning growth rings, and a century of weathering has cloaked the wood's raw texture in a rich patina, accentuating deep grooves along the table's sides. 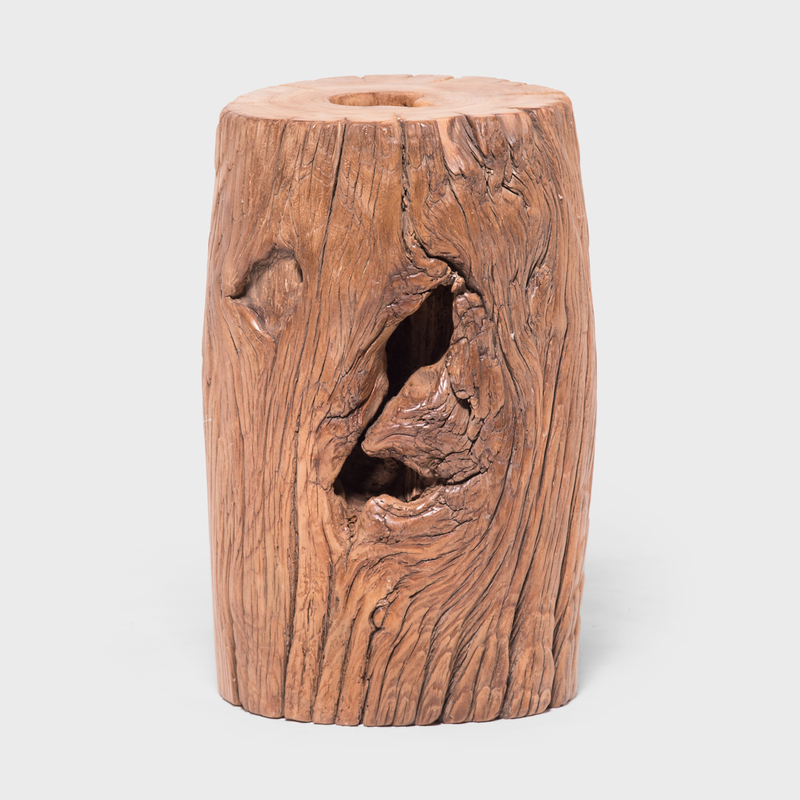 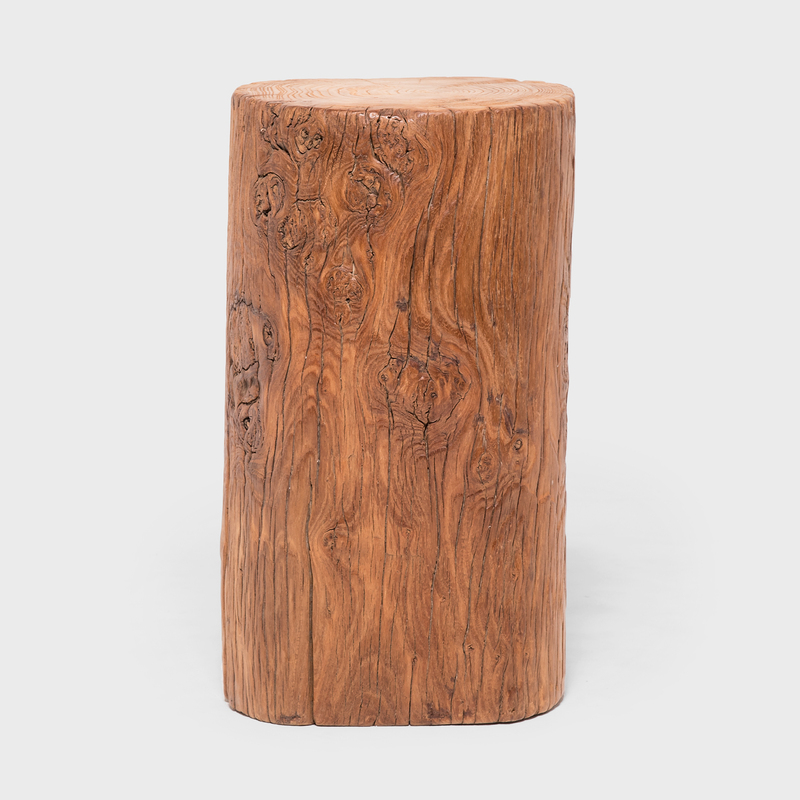 Celebrating the complexities of nature, this exquisite elmwood timber is fantastic as a rustic side table or stool.